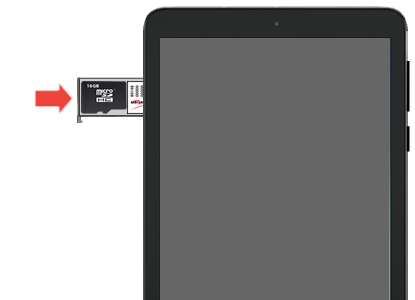 From the left edge of the device (display facing up), remove the card tray. 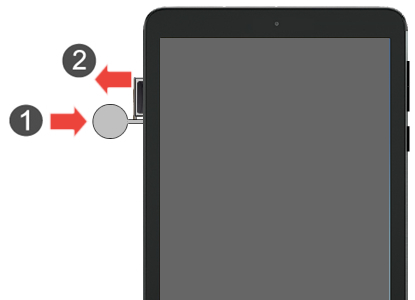 Utilize the insertion/removal tool (or a paperclip) to unlock the tray by inserting it into the provided slot (figure 1) then remove the tray (figure 2). 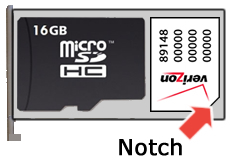 Insert the SIM card into the tray as shown (gold contacts facing down). Insert the card tray (gold contacts facing down).